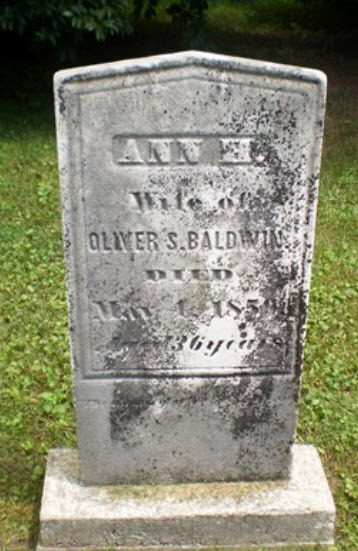 Oliver S. Baldwin married Ruth Ann Houghton, daughter of Joel Houghton and Amy (?). Ruth Ann Houghton married Oliver S. Baldwin. Gertrude Mary Spaulding married (?) Beloat. (?) Beloat Jr married Edna Mae Keen in Feb 14, 1958 at Escondido, CA, USA. (?) Beloat Jr and Edna Mae Keen were divorced in Sep, 1975. Lisa M. Beloat married (?) McDowell. (?) McDowell married Lisa M. Beloat, daughter of (?) Beloat Jr and Edna Mae Keen. Edna Mae Keen married (?) Beloat Jr, son of (?) Beloat and Gertrude Mary Spaulding, in Feb 14, 1958 at Escondido, CA, USA. Edna Mae Keen and (?) Beloat Jr were divorced in Sep, 1975. (?) Beloat married Gertrude Mary Spaulding, daughter of John Melancton Spaulding and Amy Cecil Pollock. Janet Dressen married Thomas Edward Houghton, son of Sidney Charles Houghton and Lona Powers. Janet Dressen and Thomas Edward Houghton were divorced. Berthena (?) married Charles F. Houghton, son of Frank C. Houghton and Lillian Winchel. Regina R. Houghton married (?) McCullough. (?) McCullough married Regina R. Houghton, daughter of Charles F. Houghton and Berthena (?). (?) Morrison married Cleo B. Winchel, daughter of Frank C. Houghton and Lillian Winchel. Marjorie Houghton married Edward Behrens. Edward Behrens married Marjorie Houghton, daughter of Cecil Albert Houghton and Marjorie C. Dunn. Joyce E. Houghton married Richard G. Vejnoska Sr.
Richard G. Vejnoska Sr married Joyce E. Houghton, daughter of Cecil Albert Houghton and Marjorie C. Dunn. Lori Ann Houghton married Derek Drake. Susan (?) married Jerry Michael Houghton, son of Ronald Lavon Houghton and Judy Lynne Proctor. Derek Drake married Lori Ann Houghton, daughter of Ronald Lavon Houghton and Judy Lynne Proctor. Mike Hildreth married Angel Marie Houghton, daughter of Ronald Lavon Houghton and Judy Lynne Proctor.